After 2014’s Grammy Award winning, Morning Phase, Beck’s fan base has eagerly awaited his follow-up. Falling in the more energetic, dance-driven position in Beck’s dualist creative cycle, expectations were for an audio dance party. As the years passed by, the rumor mill lit up with everything from release dates to the title, Night Phase. Beck even mentioned seeing a performance where the crowd was throwing their hands in the air, fist pumping, and generally partying at a rap show. He felt he could create a similar experience and set out to produce an album of bangers. With expectations so clearly defined, living up to them was lofty to say the least. As the album began with the title track, there was an immediate element of dj beats, heavily produced vocals, and fringe-pop. Much like his other work, this album deftly swirls various styles betwixt the pop sensibilities that land his art on the radio and the outrageous creativity that sets him apart. As with almost all of his previous tracks, the genre-bending, style blending approach touched on all things contemporary. While some of those sounds were a bit over-produced, they fit with Beck’s influential diversity, incorporating elements of pop that I didn’t particularly like, but that were undeniably part of the modern musical landscape. “Seventh Heaven” was like a song from Phoenix’s newest effort, with Uber-smooth production and ethereal vocals that seem to have been broadcast through angelic reverb. Given Beck’s involvement in Scientology, I wondered if there was a correlation to his religious beliefs. At present Leah Remini was unavailable for comment. From there the album teetered between cutting edge and stale. Once again I found myself wondering how much of my own expectations for this album had impacted my feelings about Colors. My personal favorite track on the release, “Dear Life,” utilizes some of my favorite elements of his songwriting. The piano has a honky-tonk vibe, mashed into a groovy dance beat with guitars that were raw like The Velvet Underground/Lou Reed. This track is destined to be an earworm, and to a large extent, saved the album for me. Not that I didn’t like where it was headed, but I was scratching my noggin on a few of his choices. “Dear Life,” reminded me that I was still listening to an artist I love. “No Distraction” harkened to some of his edgier stuff (barely), but the bridge dipped back into top-40 pop noise that lessened my interest. But much like everything else, he still added in disparate and contradictory ideas that lead to a creative output his contemporaries can rarely match. “Dreams” fit nicely into the box I was expecting. If I had imagined this album before I heard it, this track comes closest to what I anticipated. From the hip-hop influenced keyboards, driving rhythms, distorted guitars, floating vocals, and overall energy of the song, this is quintessential Beck. “Wow” might be the farthest Beck has ever ventured into the world of bizarro bangers. While some elements of the song are minimalist and fit with Beck’s catalogue, some other aspects are like terrible crunk rap. I like it, but more for its quirky side than as a genuine example of this style of music. “Square One” served to cleanse the palate after the clubby number. While it still focused on elements of popular music, it utilized a wide variety of aspects that coalesced in a sort of patch-worked harmony. “Fix Me” was a bit of a drag within the context of such an upbeat album, but also added a new flavor to the mix. I felt the song would have been more appropriate on “Morning Phase,” or whatever Beck does next. His cycle of alternating between mellow and energetic releases, indicates this track was out of step with his artistic flow. The album ends with another take on “Dreams.” The earlier one was labeled “The Colors Mix” and this one stands on it’s own. I didn’t notice a whole lot of variables between the two, but still enjoyed them both, even while occupying the same release. On the whole, this release exceeded and fell short of the hype on an individual track basis. While some of it is on par with the rest of his genius, some of it left me disappointed. I don’t know that this indicates a failure on Beck’s part, or just that his encyclopedic usage of styles borrowed from genres I just don’t particularly like. Either way, Beck has continued to produce music that showcases an extraordinary ability to combine musical ideas in ways never previously considered. His mother was a resident artist in Andy Warhol’s warehouse, and Beck’s creative output shares a certain aesthetic with Warhol. Big. Colorful. Unique, but with extremely relatable components. 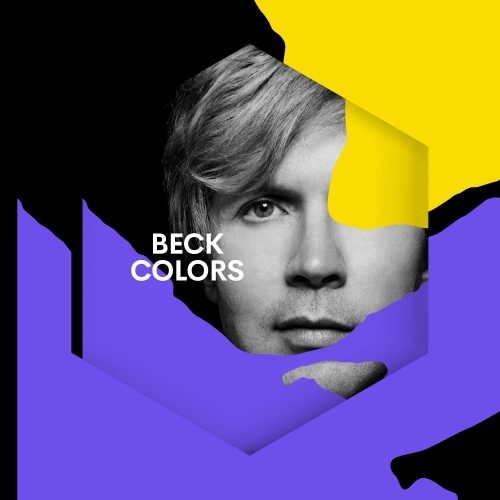 Colors is just the latest effort in an unusually cohesive and wildly diverse repertoire Beck comfortably holds up his sleeve.